[World] Futures Movers: Oil futures resume climb, flirting with fresh multimonth highs Oil futures gain Thursday, mounting a charge toward fresh multimonth highs, as energy-market participants consider the likelihood that major producers will answer with increased supply in response to tougher U.S. action against Iran’s oil market. This is the story of how Bernie Sanders, the socialist-minded senator from Vermont, took his crazy-minded socialism a bit too far and dropped a bomb right in the midst of his presidential campaign — right in the middle of America's jail populations. [World] FA Center: Here’s one more box to check when hiring a financial adviser Your investment portfolio isn’t the only thing an adviser has to manage. [World] Freaky &apos;Swamp Thing&apos; rises in first extended teaser trailer, but show&apos;s future is murky The "Swamp Thing" extended teaser trailer, which dropped Wednesday, is supernaturally freaky. The DC Universe show&apos;s future is uncertain however. If you have a particularly high pain threshold, perhaps you suffered through five consecutive hours of Democratic presidential candidate town halls airing on CNN on Monday night. Identity politics revives sexist stereotypes, and like most stereotypes, they diminish us all to a multitude of prejudices. Generalizations seek the simplest common denominator and usually sink to the lowest. [World] &apos;13 Going on 30&apos; turns 15: What it&apos;s like to rewatch Jennifer Garner&apos;s rom-com when you&apos;re 30 Rom-com &apos;13 Going on 30&apos; turns 15 on April 23. To mark the anniversary, I rewatched the Jennifer Garner film at age 30. Here&apos;s what I learned. [World] Tesla stock falls after car maker misses Q1 views Tesla posts a wider-than-expected first-quarter loss, and revenues are also a miss. [World] Facebook earnings account for expected multibillion-dollar FTC fine, but stock still gains Facebook Inc. shares jumped in late trading Wednesday, even as the company said it expects to pay a multibillion-dollar fine to the Federal Trade Commission. [World] The Tell: Here’s what $100-a-barrel oil would do to the global economy Oil prices may rally further, with global benchmark prices reaching $100 a barrel, prompting a global surge in inflation and a slowdown in economic growth, as efforts by Saudi Arabia to make up for oil lost from Iran reduces the world’s spare output capacity, according to Oxford Economics. [World] : Biogen says it will not give up on Alzheimer’s after failed trials Biogen Inc. executives sought on Wednesday to ease investors’ concerns over the recent failure of one of the company’s investigational Alzheimer's drugs. [World] Netflix’s $2 billion junk-bond offering comes at a risky time for the streaming giant Netflix is burning through cash at a fast pace and its outlook is less certain, given the pending competition from two major new entrants to the streaming market, Disney Co. and Apple Inc.
[World] Taylor Swift calls songwriting her &apos;protective armor&apos; at intimate concert Swift celebrated her Time 100 cover, which named her one of the year&apos;s most influential public figures, with a performance at the Time 100 gala. [World] Currencies: Dollar makes fresh multimonth high; Aussie crashes on benign inflation The greenback was holding steady near a 22-month high on Wednesday as strength against the euro was offset my minor gains against other trading partners. 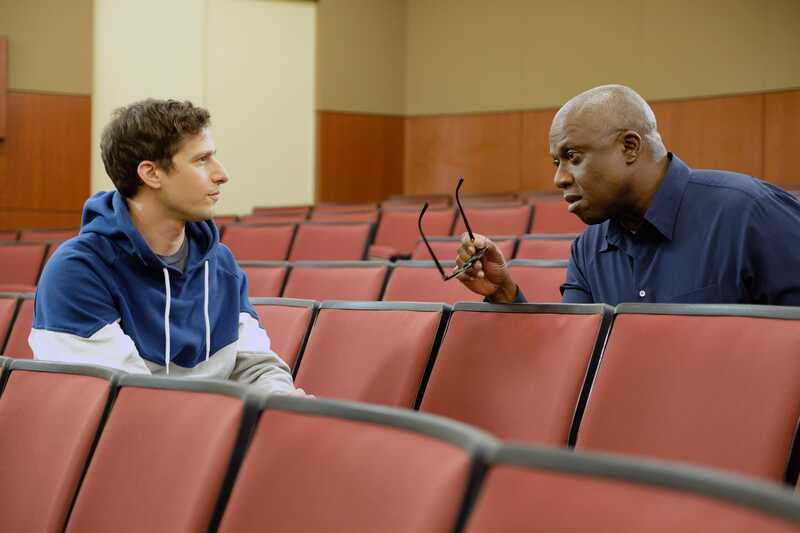 [World] New on Netflix in May 2019: Amy Poehler comedy, Spike Lee film, Renee Zellweger series In May 2019, Netflixhas plenty of original shows and movies, including projects with Amy Poehler, Ali Wong, Renee Zellweger and Linda Cardellini. [World] Here&apos;s why &apos;Avengers&apos; fans are freaking out about Natalie Portman Natalie Portman, who played Chris Hemworth&apos;s love interest in the first two "Thor" movies, turned up on the red carpet at the "Avengers: Endgame" premiere, getting Marvel fans all excited. [World] Earnings Outlook: Chipotle earnings: Shares rally as digital ordering and delivery drive sales Analysts and investors are bullish on Chipotle as digital initiatives show signs of driving up sales. [World] Coca-Cola gets a boost from Coke Zero Sugar, Coke Orange Vanilla and mini cans Coca-Cola focused its earnings call on innovation, with flavors like Coke Orange Vanilla driving better-than-expected results. [World] Cannabis Watch: Cannabis stocks take a breather as Jefferies reiterates CannTrust is a conviction buy Cannabis stocks were mostly lower Tuesday, as investors took a breather after Monday’s gains to lock in profits and await the next developments in the sector. [World] The Wall Street Journal: Soros Fund’s new leader upends firm in overhaul that ousted top trader George Soros’s new investment chief made hedge-fund manager Adam Fisher an offer to join the firm two years ago. He’d get a multimillion-dollar annual bonus or an up-to $1.5 billion investment for a new fund if the job didn’t work out, said people familiar with the matter. By February, Fisher was gone. [World] Buy This, Not That: 4 simple things you can do today to become more creative Creativity is one of the most essential skills workers will need in the future. Sen. Bernard Sanders' comments about wanting currently incarcerated felons to be able to vote from prison are receiving an appropriate amount of backlash. His insistence that even terrorists and rapists should have a say in who governs us is an affront to the values that hold this nation together. [World] Sustainable Investing: Here’s how to check the animal-friendliness of your investments It’s easy to check which individual stocks are “cruelty-free,” but you can’t yet invest in a vegan investment index. [World] Move over Kardashians! Scott Disick lands his own home renovation show in E! The “lord,” as in Scott Disick, is spinning off and flipping out of the Kardashian family bubble with his own E! show. Afghanistan is often said to be America's longest war, but that's imprecise. Afghanistan is the longest battle in what some of us insist on calling The Long War. When did the conflict begin? Want food for thought? Here's a banquet. This book makes you think about subjects eminently worth thinking about, like truth, justice and the rule of law. [World] Earnings Watch: Facebook earnings: Negative headlines don’t seem to matter to its finances You may have noticed that Facebook Inc. seems to face a new scandal every day. But advertisers, users and investors don’t seem to care. [World] Market Extra: Oil’s rally challenges bond investors’ dim global economic outlook, says strategist If the steady climb in oil prices reflects increased global demand, bond-market bulls could be in for a nasty surprise. [World] White House misses deadline to turn over Trump taxes to Congress The White House missed a deadline to turn over President Donald Trump’s tax returns to a House committee, in what could lead to a court fight for the papers. [World] Upgrade: Making this classic mistake when you book airfare can cost you $90 But there’s a money-saving trick to save big on plane tickets. [World] Market Extra: ‘I did not expect us to be at all-time highs by April’, says Morgan Stanley’s Wilson as stock market pops Stocks in 2019 have thus far befuddled Michael Wilson, with the S&P 500 and Nasdaq Composite breaking out above their closing records in Tuesday trade. [World] Pavlich on Dems Probing Obstruction: What Are They Gonna Find That Mueller Didn't? [World] &apos;Young and the Restless&apos; honors Kristoff St. John with 4-episode story arc this week "The Young and the Restless" says farewell to Kristoff St. John and his character during a four-episode story arc airing Tuesday through Friday. [World] Trump Today: Trump Today: President criticizes Twitter and vows to ‘reciprocate’ against EU after Harley profit drops President Donald Trump on Tuesday took his latest swipe at Twitter for what he says is unfair treatment, as he vowed to “reciprocate” against the European Union in the wake of Harley-Davidson’s report of a profit drop in the first quarter. 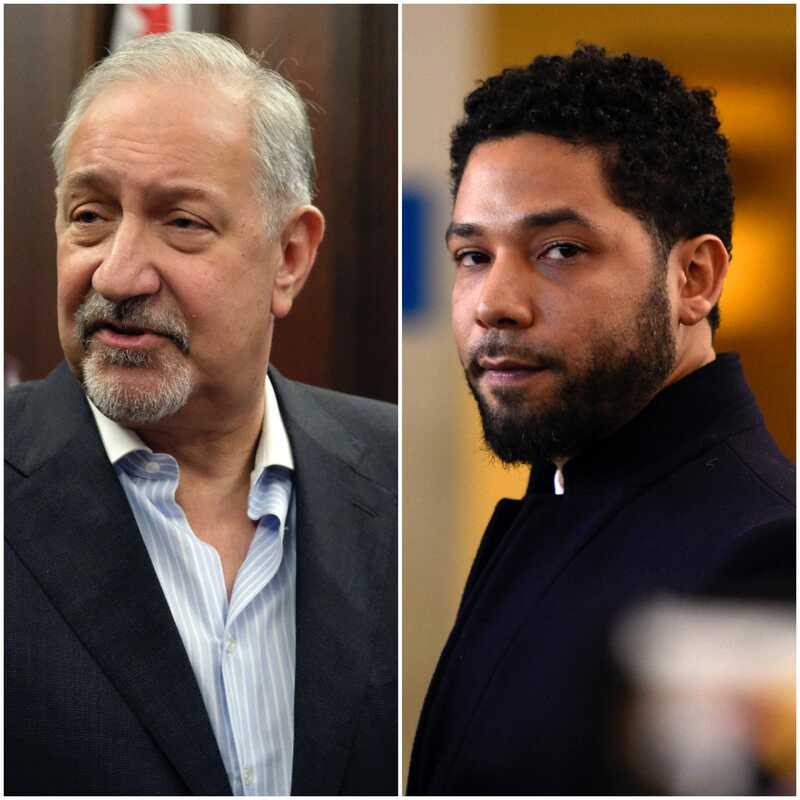 [World] Jussie Smollett case: Brothers accused of carrying out attack sue actor&apos;s legal team for defamation The two brothers who say "Empire" actor Jussie Smollett paid them to stage his Jan. 29 assault announced that they are filing a federal defamation lawsuit against his legal team, including celebrity attorney Mark Geragos. [World] Just like mom: Serena Williams&apos; 1-year-old daughter is a natural with a tennis racket The tennis star told USA TODAY last year that her daughter wouldn&apos;t play tennis unless she wanted to because she doesn&apos;t want that pressure for her. [World] Project Syndicate: The stock market predicts clear sailing ahead, but Roubini warns that risks haven’t disappeared Markets are priced for clear sailing ahead, but Nouriel Roubini warns that the stock markets could turn on a dime. 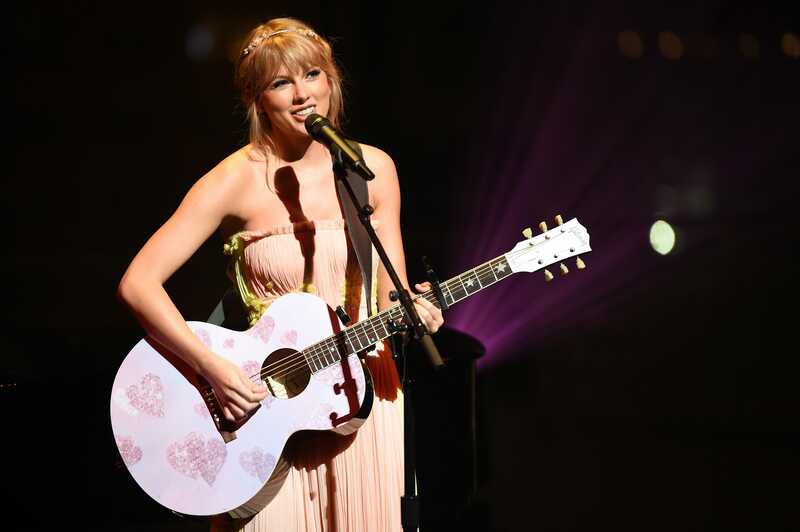 [World] Taylor Swift fans are convinced a new Nashville mural is tied to her April 26 countdown Taylor Swift fans believe a new set of Nashville wings from street artist Kelsey Montague could be part of the singer&apos;s social media countdown. [World] Market Snapshot: Stocks set for modest gains as quartet of Dow components delivers earnings U.S. stock-index futures on Tuesday edge higher amid of a barrage of quarterly results, including blue-chip consumer-focused companies, Coca-Cola Co., and Procter & Gamble Co., which investors will pore over to glean the health of American corporations. 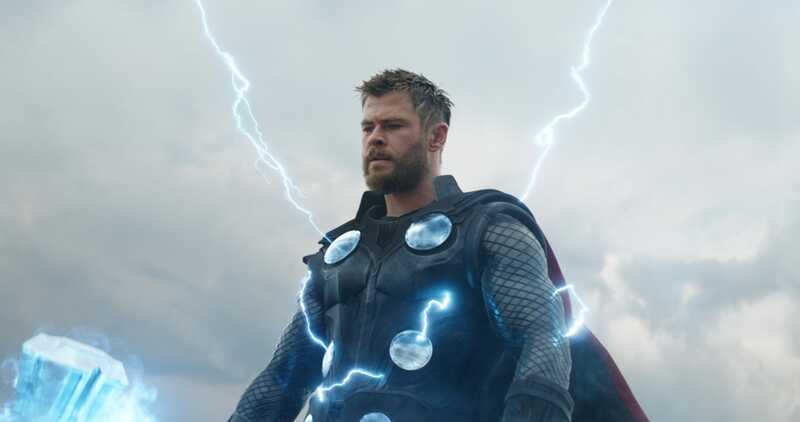 [World] &apos;One for the ages&apos;: First &apos;Avengers: Endgame&apos; social media reactions hail Marvel &apos;epic&apos; The first social media reactions from &apos;Avengers: Endgame&apos; are in following Monday night&apos;s world premiere and the pundits are wowed by "a masterful epic." [World] Need to Know: Forget spring, here’s a summer stock survival strategy from Deutsche Earnings obsessed? Our call of the day urges investors to move past what will likely be an uninspiring quarter or two of corporate results, and start thinking about how to preserve their investment gains in a market that has already risen strongly this year. Democrats are rapidly emerging as Republicans' best hope for 2020. Why? They're failing to see how fed up Americans are getting with the whole "Donald Trump did it" line of messaging from the left, despite the far more factual "Donald Trump didn't do it" special counsel report from Robert Mueller. [World] The Conversation: Here’s how Netflix could profit from all the data it collects instead of burning through cash What if Netflix’s primary long-term business model is not as a media content or distribution company, but as a data aggregation company? Policymakers and politicians love to flex their muscles. They actively try to boost or slow down economic activity based on their perceptions as to whether the economy is "too hot" or "too cold." [World] NewsWatch: Everyone is bullish on Amazon — what that might mean for investors ahead of earnings Amazon.com Inc. investors should be warned that Wall Street may be a bit complacent on the e-commerce and cloud giant’s stock, ahead of the first-quarter earnings report due out after Thursday’s close, but that doesn’t necessarily mean they should turn bearish. [World] Earnings Outlook: Amazon earnings: Revenue comes into focus in 2019 Amazon is expected to ramp up investments in 2019 after pulling back in 2018. [World] In One Chart: Ratio of small-caps and gold shows that stock-market fortitude trumps fear Stocks bulls argue that this economic and market expansion was built like no other, meaning that its demise won’t come about in a way history has foretold. Gold and small-cap stocks appear to confirm their view, in one chart. [World] Earth Day: Stanford scientists see link between global warming and income inequality Rising temperatures have helped create financial disparities between poorer, warmer countries and richer, cooler ones. [World] Here’s how to watch Tesla’s investor day Tesla Inc. will live-stream its investor day on Monday starting at 11 a.m. Pacific., focusing on its autonomous-driving software and hardware. [World] Metals Stocks: Gold moves up from low of the year, tracking higher oil and weaker stocks Gold prices pushed up from the four-month low reached in recent sessions, in part as oil gains lifted the specter of inflation risk, against which gold can act as a hedge, and as stock futures pointed to a lower start for riskier assets. [World] The Wall Street Journal: Samsung cancels two Galaxy Fold events after malfunctions in test of $2,000 phone Samsung Electronics Co. abruptly canceled two prelaunch events for its new Galaxy Fold smartphone in Hong Kong and mainland China, following a product headache that began with tech reviewers reporting their test devices had malfunctioned. [World] Dire predictions that Trump’s new tax law would cost charities billions of dollars haven’t come true — yet Some feared that doubling the standard deduction would make Americans less likely to donate. [World] Livability: Try one of these picturesque destinations this summer— free of tourist traps Find adventure, beauty and relaxation for a spring or summer vacation at one of these U.S. places. [World] Futures Movers: Oil prices jump over 2% on expectations U.S. will halt waivers on Iran oil imports Traders return from the long holiday weekend to climbing oil prices, amid reports the U.S. is getting ready to cut off waivers for countries to import oil from Iran. When our son was 3 years old, he was Superman. Then one day he morphed into Flash Gordon, only to quickly turn into a Teenage Mutant Ninja Turtle. [World] &apos;American Idol&apos;s Top 8 for 2019 Who is still in the running for &apos;American Idol&apos;? Here are the contestants. 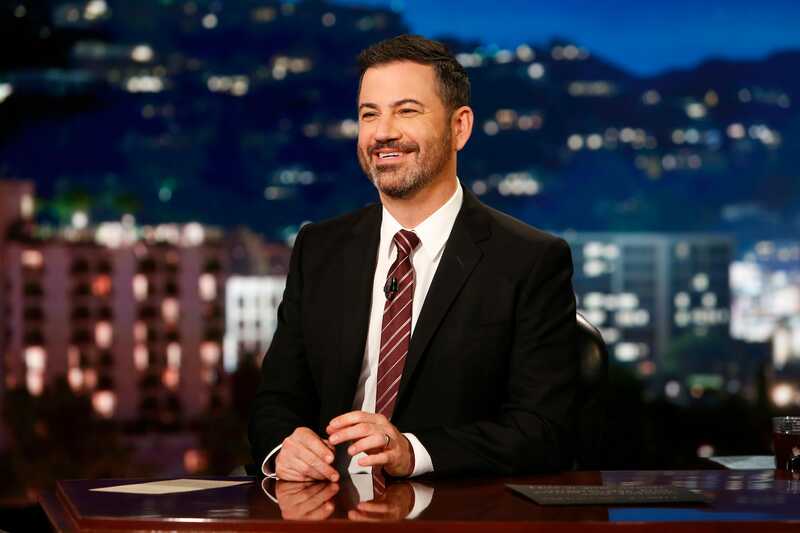 [World] Jimmy Kimmel celebrates son Billy&apos;s second birthday: &apos;We are grateful always&apos; The sweetest thing to happen this Easter may have been the second birthday of Billy Kimmel, son of late-night host Jimmy Kimmel. [World] NewsWatch: Stocks are calm and volume has dried up — is this the ‘calm before the storm’? When volatility died down twice last year, stocks crashed, writes Simon Maierhofer. Trans-gendered. Trans-abled. Trans-species. Trans-identity. It is hard to spend more than five minutes reading the daily news without being bombarded by stories about those who tell us of "transitioning" — stories of what has come to be called the "trans-community." [World] Man shot alongside slain rapper Nipsey Hussle is released from jail Kerry Lathan, wounded in the attack on Nipsey Hussle, was arrested on a parole violation for associating with Hussle, who&apos;d been involved in a gang. 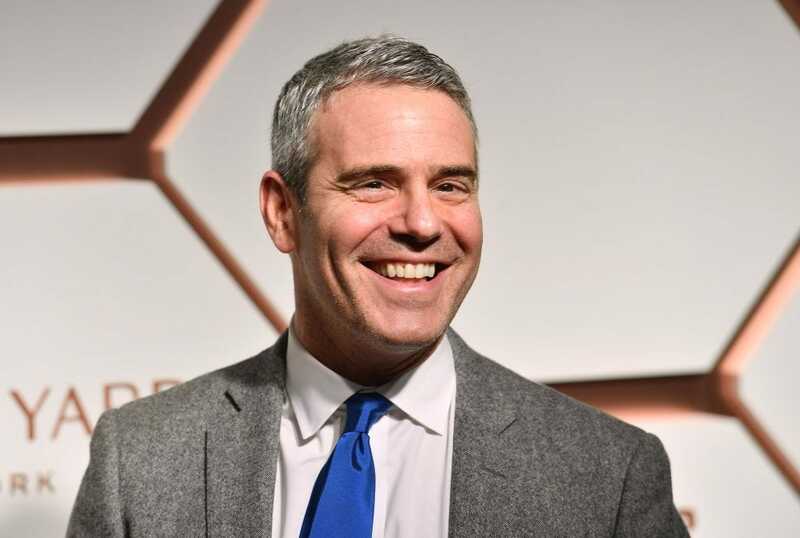 [World] Andy Cohen&apos;s mom trolls his throwback Speedo pic with a few funny, priceless words "Watch What Happens Live" host Andy Cohen posted a vintage photo of himself in a Speedo with his flowing locks in a ponytail. Mom didn&apos;t approve. The Democrats have made it clear they're not going to let go the contents of special counsel Robert Mueller's report without giving it the full impeachment treatment — without scouring for any trace elements that could give them the means to topple this White House. [World] Beyoncè’s Netflix deal reportedly worth $60 million: Variety Netflix, which just announced it added nearly 10 million subscribers in the first quarter, will pay $60 million for the three-project deal with Beyoncé, sources tell entertainment trade publication Variety. [World] Key Words: Mueller report is the best book on the Trump White House so far, says Washington Post review Mueller report on election interference “shifts abruptly between riveting insider tales and dense legalisms. Its protagonist doesn’t really come alive until halfway through,” writes Washington Post book critic Carlos Lozada. [World] Illinois cop pulls man over — and gives him a ride to his job interview instead of a ticket And guess what? He got the job. [World] 5 TV shows and movies to binge-watch over the long Easter weekend Whether you want to watch something funny and solo or something epic and with the whole family, we have five TV shows and movies that are perfect to binge-watch over the long Easter weekend. Mark Levin said Friday that the second part of Special Counsel Robert Mueller's report on Trump-Russia collusion is "crap" and simply an opinion-editorial on the former FBI directors thoughts about obstruction of justice. [World] Take a break from Harry and Meghan baby watch to look back at these historic royal births If you can&apos;t wait for Prince Harry and Meghan Markle&apos;s baby to be born, enjoy looking back at these historic royal births, from the 1940s to today. [World] The Wall Street Journal: House Judiciary Chairman Jerrold Nadler issues subpoena for full unredacted Mueller report Nadler says he expects the Justice Department to comply by May 1. [World] Weekend Sip: This Passover, it’s time to think pink (as in wine) Rosé wines from Israel deserve a place at the holiday table. [World] Mueller report reveals internet trolls, Facebook messages and LinkedIn job pitches surrounding Trump’s 2016 campaign The 448-page report mentioned Facebook at least 79 times and Twitter 68 times. For President Trump's enemies, the salient and exploitable feature of special counsel Robert Mueller's report, released on Thursday, was Mr. Trump's attempts to interfere with an investigation that his own government was conducting. The problem was the government was investigating Mr. Trump. 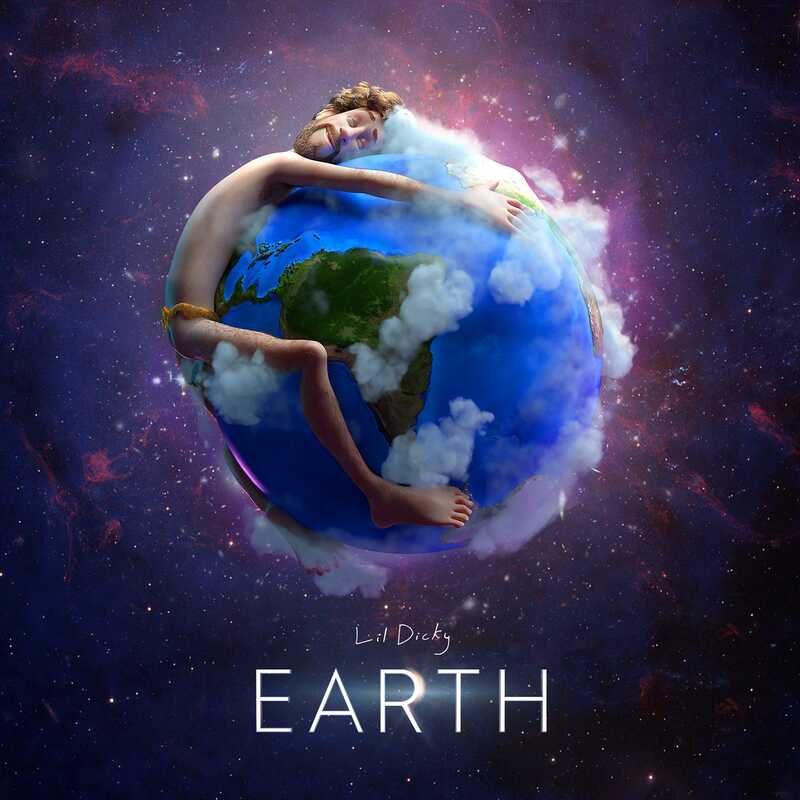 [World] Watch &apos;Earth&apos; video, see which animals Ariana Grande, Justin Bieber and other stars play Lil Dicky&apos;s "Earth," a song and animated music video, features the collaboration of 30 stars and is part of a new climate-change awareness initiative. It was Christmas again this week and all the Democrats got in their stockings were two or three lumps of coal. Or maybe it wasn't Christmas, but Groundhog Day. That's the line that the South Korean government and the semi-permanent community of ineffectual "Korea watchers" who populate the offices along Massachusetts Avenue in Northwest Washington are taking in response to North Korea's latest provocation. [World] &apos;Swamp Thing&apos; rises in first teaser trailer, but DC Comics show&apos;s future is murky Ian Ziering shows off the "Swamp Thing" first look and it&apos;s ugly. Also not pretty: Warner Bros. is cutting back on the show&apos;s episodes. [World] Medical examiner: Clark Gable&apos;s grandson died of overdose According to a medical examiner, Clark Gable&apos;s grandson Clark James Gable was killed by a combination of opioids and a sedative. 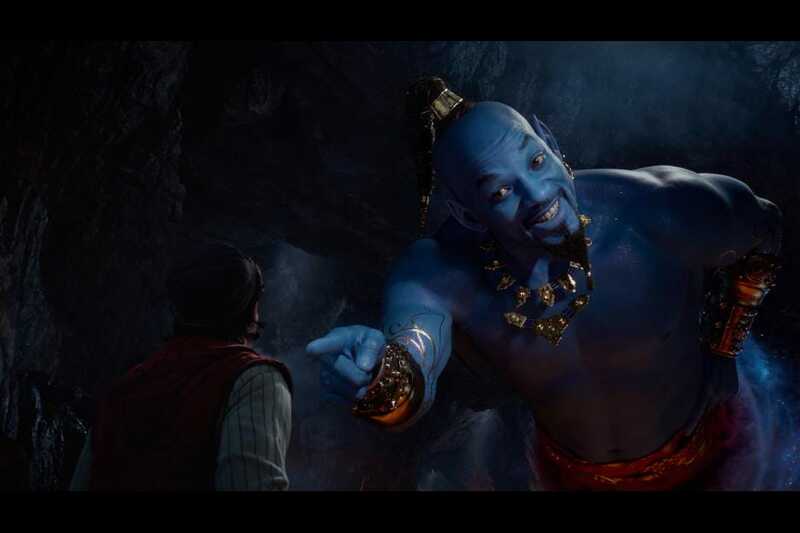 [World] &apos;Aladdin&apos;: Will Smith calls the shifting backlash over his blue genie &apos;very funny&apos; Despite criticism and many memes that ensued over his blue genie character, Will Smith appears to be unbothered by the reactions from social media. [World] Is my child safe from the measles? 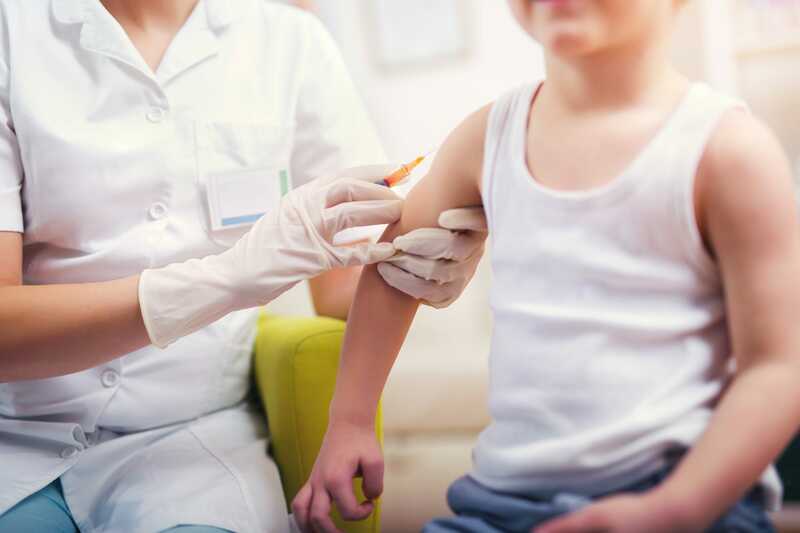 Pediatrician answers parents&apos; commonly asked questions Everything parents need to know about measles, including if a child needs a booster shot, how to identify it and can a child get it if vaccinated. [World] Economic Report: Mortgage rates tick up, but applications hit a 9-year high Rates for home loans were modestly higher, but consumer demand, as measured by applications for mortgages, remained robust. [World] Economic Report: Economy speeds up in March, but not at a very fast pace, leading indicators show A survey of economic conditions in the U.S. rose in March after hardly any gain in the first two months of the year, pointing to steady if unspectacular growth in the months ahead. The leading economic index increased 0.4% in March. [World] Why you may want to think twice before buying a home in the exurbs Roughly a decade ago, the exurbs were ground zero for the housing crisis. Today, they’re hotter than ever. 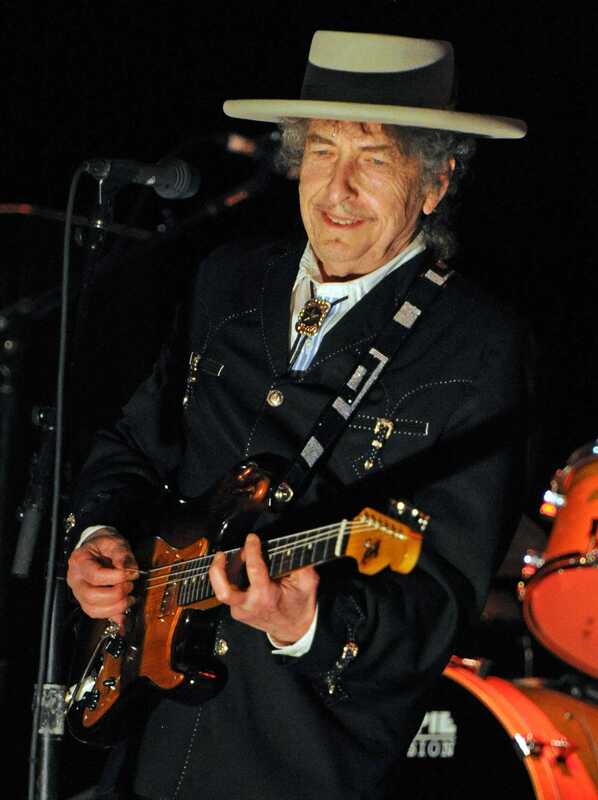 [World] Bob Dylan nearly falls during show, scolds audience for using phones Bob Dylan was performing "Blowing in The Wind when he took a step back, looking angry, and tripped over a guitar monitor. [World] Walgreens adds e-commerce package pick-up and return service to thousands of stores Walgreens partners with customer-experience specialist Narvar to add package pick-up and return service to 8,000 store locations. 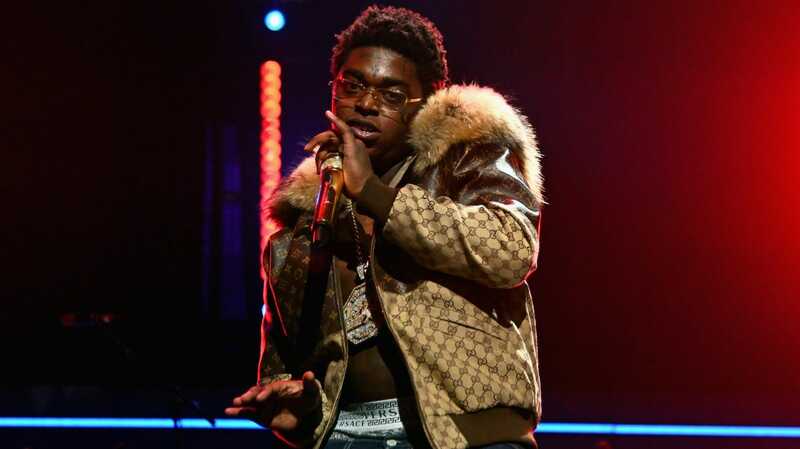 [World] Rapper Kodak Black a no-show for Boston concerts as fans brawl outside club, reports say Kodak Black who recently came under fire for flirting with the fiancee of slain rapper Nipsey Hussle, failed to show up for two Wednesday shows in Boston, where fans brawled outside the venue. [World] Market Extra: ‘Junk’ bonds are off to best start to year since 2009, as ‘soft landing’ hopes take hold High-yield corporate bonds are off to the best start to a year since 2009 after the Fed’s dovish pivot. [World] Upgrade: The $51,000 mistake 1 in 4 young retirement savers has already made Adult households under 35 are drowning in nearly $2 trillion in debt. They often handle it badly. [World] Market Extra: Which markets are closed on Good Friday? The major U.S. financial exchanges will be closed on Friday. America, come 2020, will have for the first time more Hispanics eligible to vote in the election than blacks — than any other racial or ethnic minority group, for that matter. [World] Futures Movers: Oil prices slip but cling to nearly 5-month highs as supply clarity awaited Oil futures prices were confined to a tight range early Thursday though remained near the roughly five-month highs struck in recent sessions as bigger supply questions color trading sentiment. 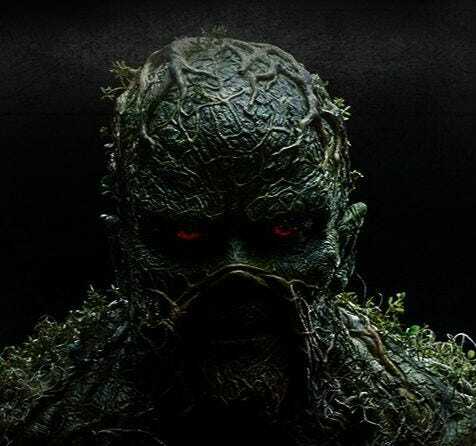 [World] Hideous &apos;Swamp Thing&apos; rises in first teaser trailer, but DC Comics show&apos;s future is murky Ian Ziering shows off the "Swamp Thing" first look and it&apos;s ugly. 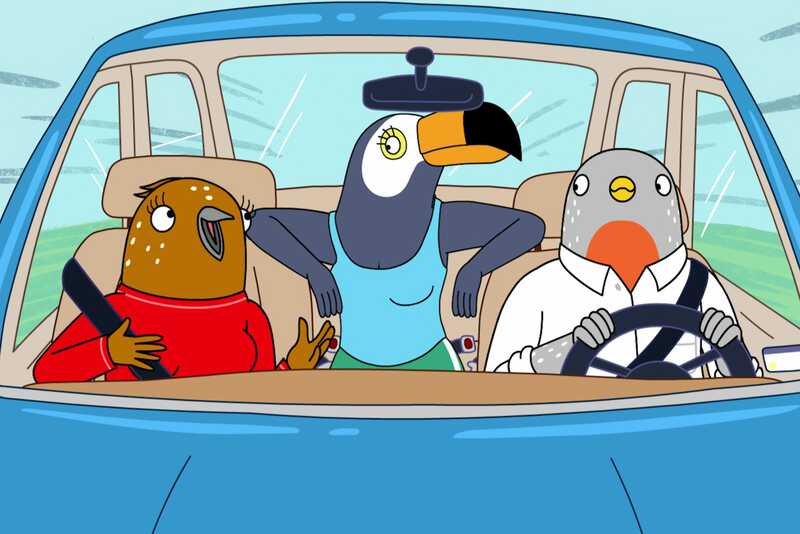 Also not pretty: Warner Bros. is cutting back on the show&apos;s episodes. [World] Pinterest prices IPO at $19 a share, valuation tops $10 billion Pinterest Inc. priced its initial public offering higher than expected Wednesday, raising more than $1.4 billion and valuing the company at more than $10 billion. The Trump administration has been aggressive in using executive branch tools to address the cascading opioid crisis in America. 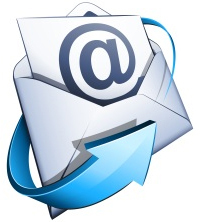 Hope remains that Congress may take additional legislative action this year. But this crisis requires additional action. [World] Pier 1 Imports to close up to 145 stores in yet another attempt to stall steep decline Pier 1 Imports plans to close at least 45 stores and potentially up to 100 more as it seeks to cut costs after another disappointing holiday season. [World] NewsWatch: Why stock-market volumes are the lowest in months as the Dow, S&P 500 and Nasdaq test records A recent resurgence for stocks after a more than six-month corrective hiatus has many market participants questioning its durability, with trading volumes holding near the lowest levels of 2019. [World] Blue Ivy steals the show, and more major moments from Beyonce&apos;s Netflix doc, &apos;Homecoming&apos; In &apos;Homecoming,&apos; Beyoncé reveals everything from Coachella show prep to sweet moments with Blue Ivy, who sings like mom in the Netflix film. [World] The Tell: A crying baby just cost one trader a 6,000% return on his Qualcomm position Qualcomm made a lot of investors a lot of money this week when its stock surged on word of the chip maker’s long-awaited settlement with Apple. An Australian options trader was not one of those investors. [World] Capitol Report: Mueller report: How it could unleash ‘stormy weather’ on the stock market As Washington braces for Thursday’s release of the Mueller report, investing strategists are trying to assess what it could mean for the U.S. stock market. [World] Next Avenue: How do the world’s oldest people make their money last? In Okinawa, long-lived residents always have a reason to get up in the morning. 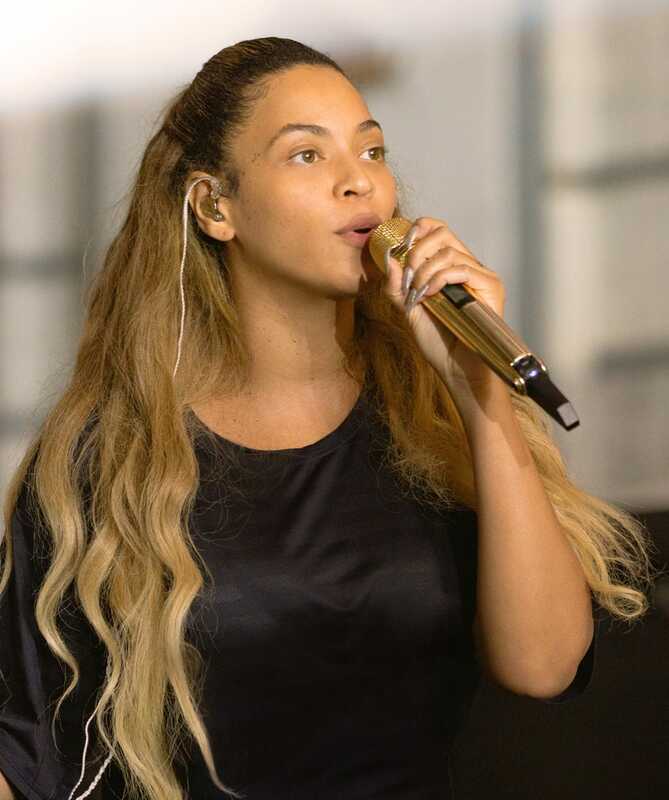 [World] Beyoncé’s Coachella performance is just the latest sign of renewed interest in black colleges — and may have encouraged some students to enroll A documentary about her performance, called Homecoming, premiers Wednesday on Netflix. [World] TaxWatch: Here’s why you may want to reconsider doing that backdoor Roth IRA conversion Plenty of potential pitfalls and booby traps. [World] 5 unmissable moments from Beyoncé&apos;s &apos;Homecoming&apos; documentary on Netflix In &apos;Homecoming,&apos; Beyoncé gets personal, revealing everything from show prep to how she suffered from preeclampsia during her pregnancy with the twins. The response to the expected release of special counsel Robert Mueller's redacted report on Thursday can make or break President Trump's reelection prospects for next year. The effectiveness of that response can also undo Mr. Trump's remarkable "America first! "-populist makeover of the Republican Party in the last 2½ years. [World] &apos;Jeopardy!&apos; contestant James Holzhauer wins again, inches closer to Ken Jennings&apos; record As of Tuesday, contestant James Holzhauer had earned $566,660. This puts the professional sports gambler behind only &apos;Jeopardy!&apos; legend Ken Jennings in total winnings. 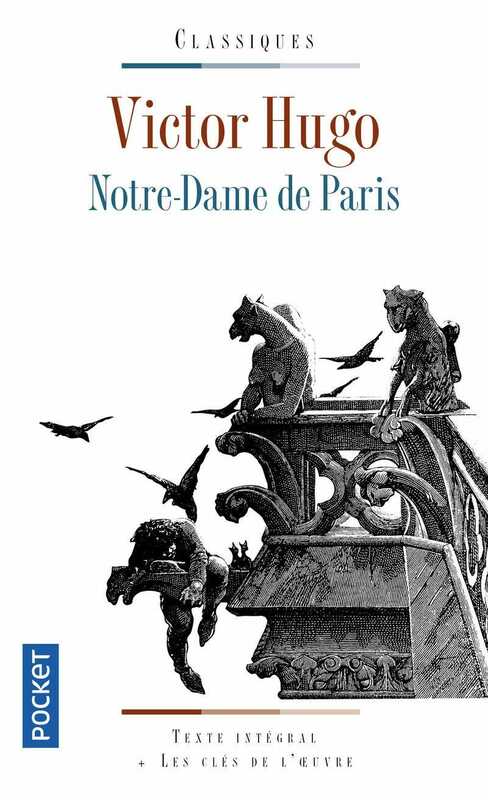 [World] &apos;The Hunchback of Notre-Dame&apos; shoots to the top of Amazon&apos;s best-sellers list in France It&apos;s been 188 years since its publication, and Victor Hugo&apos;s "The Hunchback of Notre Dame" is once again a best-seller in France. [World] These are the 3 biggest sleep myths An analysis of the 20 most common misconceptions about sleep named these three the biggest health risks. [World] The Fed: White House says it’s talking to a number of Fed candidates as Cain, Moore nominations still not put forward The White House is talking to a number of possible candidates for the Fed, White House National Economic Council Director Larry Kudlow said Tuesday. Reacting to Sen. Bernie Sanders' (I-Vt.) Fox News Channel town hall event in Pennsylvania, Lisa Boothe said President Trump's "saving grace" against the democratic socialist's candidacy is the strong economy. [World] The 5-star reviews on these 5 Amazon products are probably fake A new report claims Amazon is plagued with thousands of fake reviews. [World] One reason lawmakers are hesitant to fix Social Security: the millennials Critics of increasing revenue by taxation say young workers can’t afford it, while others say they can’t afford not to pay more for Social Security expansion. Mike Rowe joined Tucker Carlson Monday night to give his take on the college admissions scandal. [World] Capitol Report: Sanders’ ‘Medicare for All’ gets cheers at Fox News town hall Bernie Sanders’ “Medicare for All” proposal got cheers on Monday night at a Fox News town hall, giving the hosts a surprise as the appearance prompted a response from President Donald Trump. [World] TaxWatch: A tale of two tax returns — one nasty and one nice As of early April, the federal government has paid $5.7 billion less in refunds versus last year. [World] The Fed: The market isn’t pricing in an erosion of Fed independence. Or is it? For all the stated concern about Fed independence, it’s not easy to find signs financial market participants are losing confidence in the central bank. An "Angel Mom" had some strong words for California Gov. Gavin Newsom and other Democratic leaders for failing to address the crisis at the southern border. [World] Need to Know: Global growth and stocks could be set for lift off, says UBS Our call of the day, from a team of UBS strategists, says investors have been too negative when it comes to global growth expectations, and that’s good news for equities. Conservative talk radio host Rush Limbaugh is a big supporter of President Trump's proposed plan to release immigrant detainees into sanctuary cities.